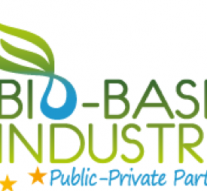 On April 4, the Bio-Based Joint Undertaking published the new Calls for proposals 2019. BBI-JU is a public-private partnership between the European Union and the Bio-based Industries Consortium (BIC). Operating under Horizon 2020, it is driven by the Strategic Innovation and Research Agenda (SIRA), published in March 2013 and updated on July 2017. The overall objective of the BBI-JU is to implement a programme of research and innovation activitiesin Europe that will assess the availability of renewable biological resources that can be used for the production of bio-based materials, and on that basis, support the establishment of sustainable bio-based value chains. Those activities should be carried out through collaboration between stakeholders along the entire bio-based value chains, including primary production and processing industries, consumer brands, SMEs, research and technology centres and universities. These pillars form the four strategic orientations of the bio-based industry in Europe. Each strategic orientation, or SO, has sub-orientations. Each strategic orientation, or SO, has sub-orientations. Details on calls can be found in the Annual Working Plan 2019. BBI JU Calls are open to private for-profit and not-for-profit organisations, including large enterprises as well as SMEs, Research and Technology Organisations, universities, associations, or any legal entity interested in BBI activities. In 2019 the call has an indicative budget of EUR 135 millionfor a total of 21 topics with 10 RIAs topics, 4 CSAs, 4 DEMOs and 3 FLAGs. Deadline for submission of proposals to the Call 2019 is 4 September 2019, 17:00 CET.